There have been several studies that highlight the positive effect of music upon health in general and upon exercise specifically. Recent studies are developing an even more detailed picture that can help you hack your own brain to make exercise an enjoyable habit. In a recent study done by Texas Tech University Health Sciences Center, researchers examined how music affected participants during a standard cardiac stress test. On average, people who listened to upbeat music during this diagnostic test were able to exercise more than 10% longer than those who didn’t. This result gave more beneficial information to medical personnel about their heart health and capacity for exercise. Although this was a small scale test based upon a non-representative population (127 cardiac patients), study authors believe the findings could apply to a wider population and help motivate people to stick to a daily exercise routine. What’s the takeaway? It’s time to create a pumping playlist that’ll help keep you rocking through your workout. Current Ebola treatments are expensive to produce and do not provide lasting immunity. However, researchers at the University of Guelph (Ontario, Canada) have found that an innovative method of delivering antibodies could be the key to preventing and treating Ebola infection. The method is known as AAV, named for the Adeno-Associated Virus, and is a form of gene therapy that has successfully been used to treat a variety of genetic disorders and viral diseases. By using the AAV to deliver antibodies directly into the patient’s bloodstream, the process bypasses the need for the host to develop a natural immune response. Researchers found that using the AAV to deliver the Ebola antibodies was extremely effective, providing 100% protection against Ebola infection in lab mice – and for up to 5 months. Researchers are now hoping to start human clinical trials soon. This announcement comes on the heels of another breakthrough from fellow Canadian researchers. Scientists at the University of Alberta have found an enzyme responsible for the propagation of the Ebola virus. While this is not a cure, it does give researchers the tool they need to more easily and safely study the virus in labs everywhere. It’s hoped that this discovery will lead more effective research and better treatments. Research recently published in the British Journal of Sports Medicine concludes that pregnant women can exercise in warm weather or water, use saunas, and take hot baths without risking the health of their unborn child. This is contradictory to current advice that pregnant women should avoid these activities to prevent getting too hot. When pregnant, raising the body temperature too high can lead a dangerous drop in blood pressure, which in turn, can reduce the amount of oxygen and nutrients available for the unborn baby. Generally, the advice is to avoid activities that can raise the core body temperature over 39ºC (102.2ºF). When analyzing previous studies on core temperature changes for nearly 350 pregnant women while engaging in traditionally forbidden activities, researchers found that no woman in any of the studies exceeded the recommended temperature limit, suggesting that the risk of heat stress is low. While researchers suggest further research is needed; they are hopeful that these conclusions will encourage women to not fear exercise during pregnancy. New guidelines released by the US Preventive Services Task Force recommend against screening for ovarian cancer in women without symptoms. This recommendation followed a review of evidence on the benefits and harms of screening in asymptomatic women not known to be a high risk of ovarian cancer. Meanwhile, another recently published study found that most women were willing to accept the risk of unnecessary follow-ups for an increased chance of detecting breast cancer through early screening. The results were calculated from the responses of over 1000 women in the UK to an online survey which focused on three factors that affect screening attendance: the probability of detecting cancer, risk of unnecessary follow-up, and out of pocket costs. As cancer research continues to make breakthroughs and diagnostic screenings continue to evolve, perhaps the best approach is to be aware of common cancer symptoms and preventative measures, know your family history of cancer, and to maintain a schedule of regular physical exams. The American Cancer Society has more information. In the United States, several programs exist to alleviate the financial strain on low-income families to put healthy food on the table. One such program, Women, Infants and Children (WIC) assists pregnant women and their children up to the age of five. Another, commonly known as food stamps but officially titled Supplemental Nutrition Assistance Program (SNAP), assists families and individuals solely based on economic criteria. However, rumours have been circulating that the Department of Homeland Security will consider participation in these programs against anyone applying for citizenship or permanent residency in the US. And, the numbers of immigrants accepting the support of WIC, SNAP, and similar programs that provide health insurance to children in need are dropping. It’s not that these families require any less assistance; it’s a matter of fear. If you’re in the US and concerned about the food-insecurities of immigrant families in your area, you might want to investigate ways to assist through non-federal programs, such as food drives at schools, churches, and other community initiatives. 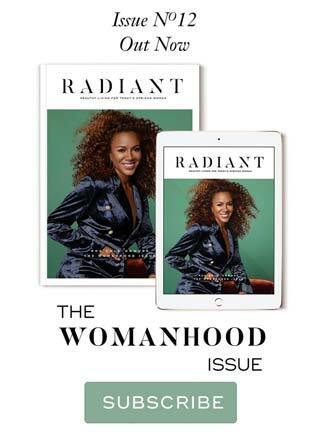 Radiant is a bi-annual print and digital health magazine dedicated to the discerning African woman and her journey to wellness through health, beauty and culture. 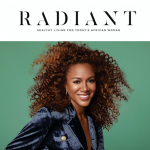 Available at Barnes & Noble stores and other retailers (see stockists) and online. Ships worldwide. 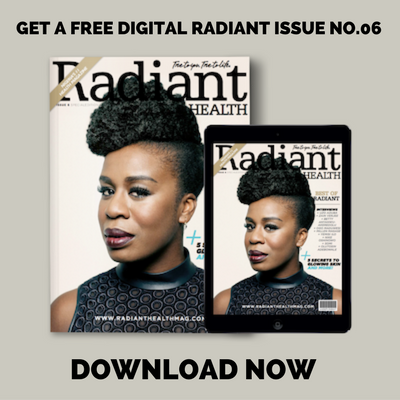 Subscribe to our newsletter and get a free digital copy of issue No.06.